The 30-year-old has not featured in the Chinese Super League (CSL) since August 4 and appears determined to quit the country, with clubs in France, Germany, Turkey, Saudi Arabia and Russia all linked with him. 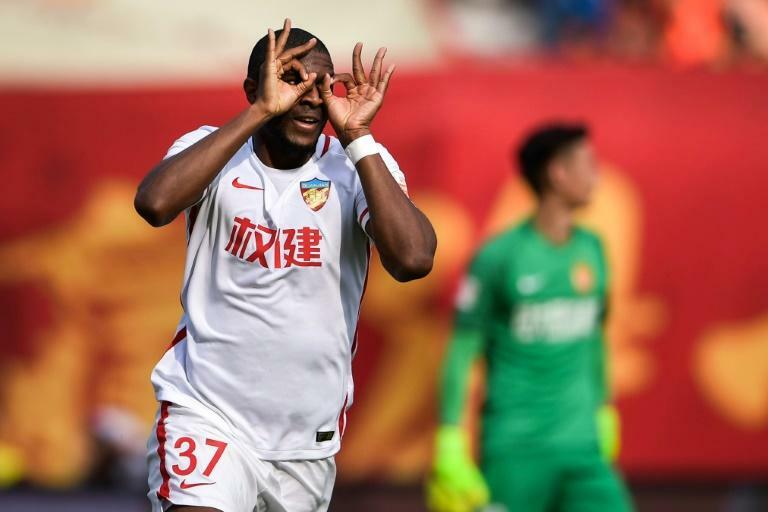 But the transfer window in most of Europe shut on August 31 with Modeste still on Tianjin's books, and the Frenchman has appealed to FIFA in an effort to sever ties with the club he joined in 2017 in a two-year loan deal from Cologne. Galatasaray want to sign the forward, a regular scorer in the Bundesliga before moving to China last year, but the Turkish giants said this week that the transfer is "not legally possible at this stage". Tianjin, who boast the Brazilian forward Alexandre Pato in attack, have been coy about what exactly the wrangle with Modeste is, and the player has not made any public statements. But Tianjin coach Paulo Sousa admitted that Modeste has not been at training, and Chinese media said on Wednesday that the club have threatened legal action if he does not return.